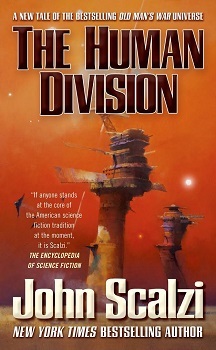 The Human Division, by John Scalzi, is set in his Old Man's War universe, but with new characters experiencing new adventures. Like most of Scalzi's other works, it's a fast-paced and fun read with plenty if sardonic humor. There's some interesting background to this book that's worth talking about. The stories that make up The Human Division were originally published on the Tor web site behind a paywall. You could pay a small fee to read each installment after it was published, you could pay a larger fee and have automatic access to each installment as it was published, or you could just be patient and wait for the book to be released (which was around 4 months after the first installment appeared on the site I think). So it was an interesting experiment, although I'm not sure what the results were in terms of readership. I can't speak to the process, because I read The Human Division in paperback form. But I can speak to the book, obviously. I like the Old Man's War series and Scalzi's style, so it was a low risk investment for me. I don't hear much about serial stories being published, so I'm going to assume that it's not a viable method of publishing and making money -- at least not for traditional publishing companies. So if all that isn't clear, The Human Division is a chronological series of short stories, originally published on the Tor web site, and tied together by a common theme and characters to tell a larger tale. That tale is about the aftermath of events that took place in The Last Colony. In Scalzi's world, Earth, humanity's home, has been pretty much kept in the dark as far as what the Colonial Union is up too. In addition to the information black out, the CU has been using Earth as the primary source for its soldiers, since the population of Earth far outstrips all the other human colonies combined. The Colonial Union is also trying to expand humanity across the galaxy by claiming and settling new planets. All of this takes place in a universe rife with alien life, most of it unfriendly, not just to humans, but to each other. A recent development, however, is the formation of Conclave, an organization of some 400 alien races that have come together in an effort to stop all the fighting. Their mandate is pretty simple: if you're not a member of the Conclave, you aren't allowed to settle new planets. Humans being what they are, the Colonial Union immediately began plotting the overthrow of the Conclave. Without giving too much away, Earth has discovered how it was being used by the CU, has put a ban on new recruits, and is not too fond of the CU at the moment. The recruit ban has put the CU in a perilous position, since now it doesn't have the forces it needs to replace combat loses. So the Colonial Union doesn't want to be part of the Conclave, Earth had been kept clueless but now knows and is pissed, and now the Conclave is courting Earth to be a member planet. Will Earth side with the Conclave? Or the Colonial Union? And what is each side doing to try to influence the outcome? Each story is fun, and, as a whole, do a good job of telling the greater story. 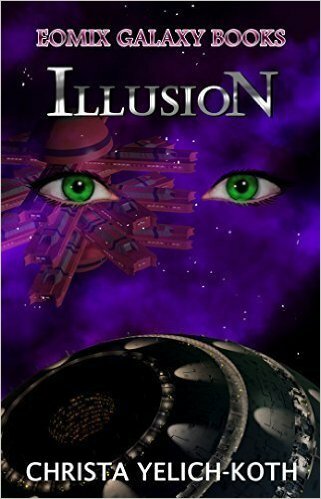 It's an obvious must-read for Scalzi fans. Although I think it could be enjoyed on it's own -- after all, each one of the installments is its own story with a resolution -- it would be even more enjoyable for those readers who understood the background and Scalzi's universe.